These days, streaming PC games on Twitch is more accessible than ever before. Literally anyone can create their own Twitch channel and get started building a following playing some of their favorite games, whether that's Fortnite: Battle Royale, League of Legends, or PlayerUnknown's Battlegrounds. But there's a slight learning curve to Twitch streaming on PC. 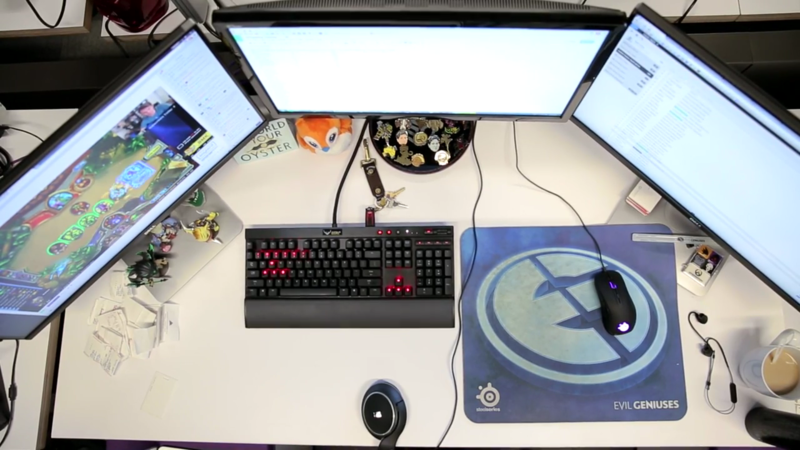 While consoles like the PlayStation 4 and Xbox One have their own streaming setups that do the trick for most beginners, PC users have to use a third-party program to set up their Twitch streams, which can be rather daunting to gamers without a knack for the technical side behind creating and uploading videos. Luckily, there's plenty of information out there for newcomers, and most streaming programs are free. They're also becoming more user-friendly too. So if you want to get started streaming on Twitch through your PC, here's how. First off, before downloading Open Broadcaster Software or any other livestreaming programs, you're going to need a rig that can handle streaming. Streaming on a low-end computer is incredibly difficult because rendering a game, recording it, and uploading it over the internet are demanding processes for a weak CPU, RAM, and GPU. So if your computer struggles with 3D games like Overwatch, Counter-Strike: Global Offensive, or Dota 2, then you'll want to buy a better computer before you kickstart your Twitch career. According to the Twitch Help Center, PC streamers should have the following recommended system specifications if they want to get started broadcasting PC games. Keep in mind, those system requirements are just to get started streaming. You may need a better computer to stream more intensive games like Rainbow Six: Siege or Grand Theft Auto V. However, 2D PC games aren't quite as intensive on PC compared to 3D titles, so mid-range desktop owners may be able to stream games like Hearthstone or indie titles such as The Binding of Isaac and Into the Breach just fine on Twitch. But if you're interested in Twitch streaming in the long-term, start saving money on a gaming PC now, even if it's just a pre-built. Alongside your PC's hardware, you'll want to make sure your internet is built for Twitch streaming too. Internet connections with low bandwidth or heavy traffic may struggle with sending upload data to Twitch. For newcomers, Twitch recommends setting broadcast softwares' encoding pre-sets to "Very Fast" for a less demanding experience on both the streamer's PC and their internet connection. At the bare minimum, every streamer should own at least a microphone and either a headset or earbuds. You'll want the former to interact with your viewers and the latter to silence in-game sound on stream. After all, the last thing you want is an annoyed audience complaining about audio echo from your cheap $10 microphone. 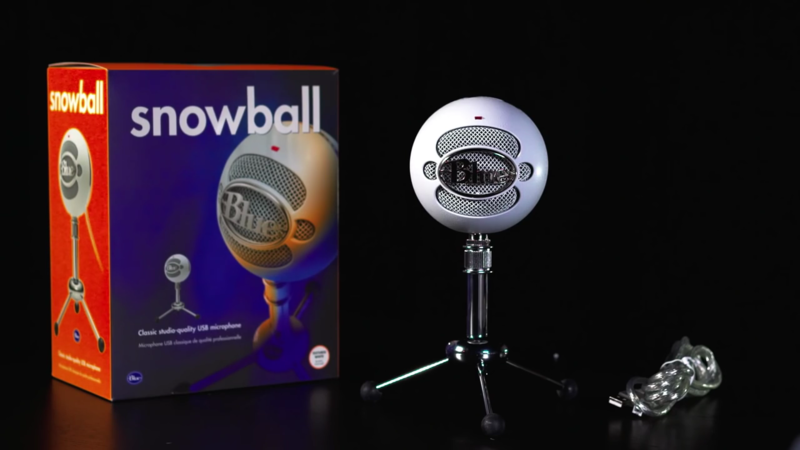 For a beginner's microphone, the Blue Snowball provides excellent sound quality at an affordable price, plus it connects to your computer via its USB slot, making it quite versatile for any gaming PC's case. On the other hand, if you're looking for a headset with a built-in microphone, the HyperX Cloud II Gaming Headset is a popular choice among Twitch streamers new and old alike for a headset just under $100. Twitch is a personality-driven and gameplay-oriented streaming service, and that means you'll want to cultivate your audience around a specific kind of brand. Are you funny, charismatic, and goofy, or are you a laid-back gamer who likes to hang out with your viewers? Or maybe you're a Fortnite player who ragequits on camera when he loses games? There's plenty of room for all sorts of people on Twitch, so figure out your goals first and develop your on-screen personality from there. Consider what kind of games you want to stream, too. 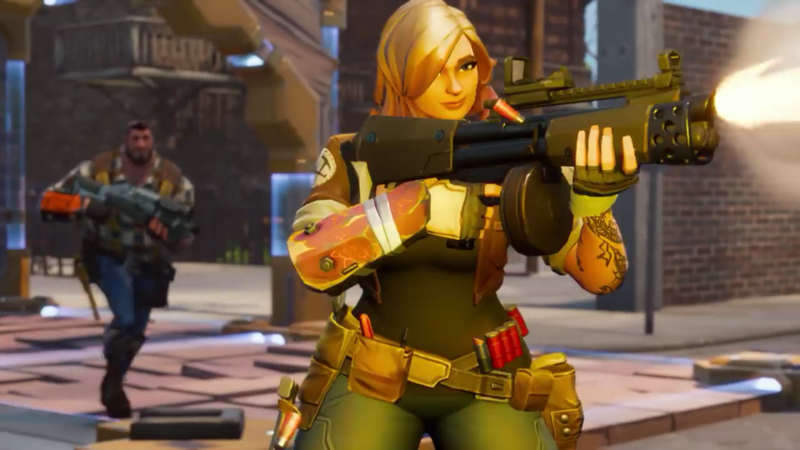 Action-packed multiplayer games are always a great choice, and battle royale titles like Fortnite, PlayerUnknown's Battlegrounds, and Realm Royale have huge followings online. 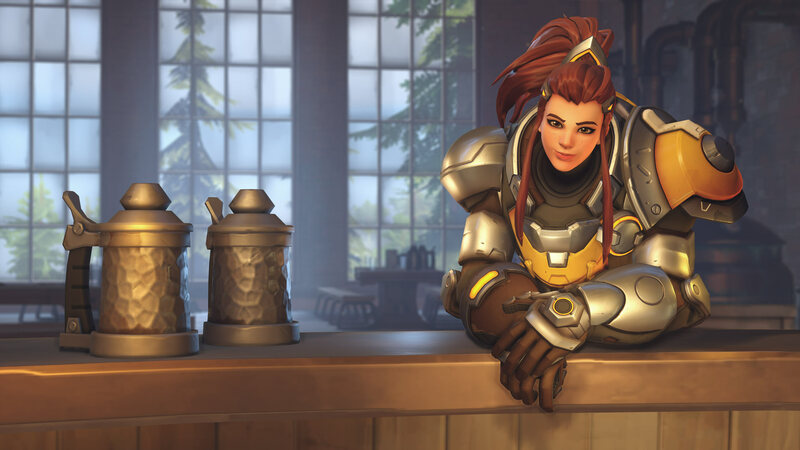 Competitive first-person shooters such as Overwatch and Battlefield V are also great picks, as are MOBAs like Dota 2 and League of Legends. Now that you have the hardware, games, and equipment to start streaming, there's a couple broadcasting programs out there worth checking out to get your Twitch stream underway. We'll be looking at three of the most popular ones recommended by Twitch: Bebo, Open Broadcaster Software, and XSplit. Twitch calls Bebo a "free, easy, all-in-one" streaming solution, and for good reason. This program centralizes Twitch streaming into a simple format where beginners can insert pre-made stream overlays, add various capture options, set up a donations system, track a built-in Twitch chat feed, and choose between advanced encoding options, among many other features. Bebo is incredibly popular because it lets streamers quickly get started streaming. And if you want to jump straight into Twitch, here's how. Sign into Bebo with your Twitch account. Head to the Editor tab and click the plus sign at Video Sources. Add either a a Game Capture or Window Capture input and pick your game from the list. (Optional) Add your Webcam as a Video Source. Click the plus sign at Audio Sources and add your microphone. That's it! Bebo does the rest. For more information on some of the program's advanced features, Bebo has a simple Getting Started guide that's worth reading through for newcomers and veteran streamers alike. 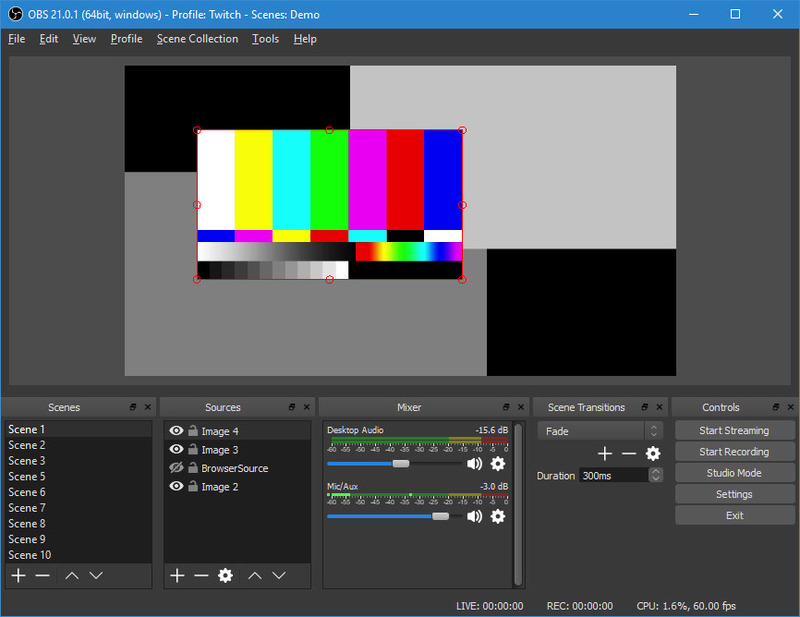 Also known as OBS, Open Broadcaster Software is one of the most popular (and powerful) Twitch streaming programs available. While OBS requires more setup than Bebo, it gives streamers the ability to truly own and customize their streaming experience, from advanced overlays to custom subscriber alerts. And for power users looking to mess around with their encoding settings, OBS is a beast of a program. Before you get started, head on over to your Twitch user account's Dashboard and check out the sidebar's Channel tab under Settings. To use OBS, you'll need to copy your stream key, which is a unique set of characters that Twitch uses to authorize third-party programs for streaming to a specific user's Twitch channel. If you're interested in streaming with OBS, here's our quick start guide for setting up your channel. Run OBS' Auto-Configuration Wizard. This will give you a basic setup for using OBS and provide basic encoding settings that your system can handle. Over on the main screen, click the plus sign at Sources and add a Game Capture or Window Capture source. Choose the executable for the game that you want to stream. (Optional) Add your webcam as a Video Capture Device. Click on the source on the preview screen to shrink or increase its size. Click the Settings button and head over to the Stream tab. Make sure Streaming Services is selected as your Stream Type. Select Twitch as your Service and input your stream key. Head to the Output tab and make sure Simple is selected under Output Mode. This should be fine for now, although you can always tweak these settings between streams. Click the Audio tab and make sure your microphone is selected under Mic/Auxiliary Audio Device. Leave the Settings tab and click Start Streaming. Over at the Open Broadcaster Software website's Help section, OBS also offers additional tutorials on troubleshooting common problems. Make sure to read through its tutorial wiki for more advanced customization options too. XSplit is OBS' rival of sorts, and the two programs have been in competition with one another for quite some time. On the one hand, XSplit lacks the plugin support that OBS has, but it makes up for it by offering some pretty nifty audience overlay options to make streaming much easier while playing games. XSplit has two different iterations, XSplit Broadcaster and XSplit Gamecaster, and both offer two premium options for dedicated fans. But XSplit's free version is available to download with plenty of core features intact, and it's perfectly fine for beginners too. Here's how to get started with using XSplit Gamecaster for streaming on Twitch. Create an XSplit account and log in. Head over to the Settings tab and click the gears next to the Stream Settings drop down menu. If you want to stream in HD, set your resolution output to 720p HD, your frame rate to 30 or 60 FPS, and your quality to High. This can be tweaked later for more advanced settings. Under the Devices header, make sure the Microphone tab has your streaming microphone selected. If you're using a webcam, make sure it's also selected under the Camera tab. Click on the Accounts tab and select Twitch as your Live Streaming service. Log in to your Twitch account and authorize it for XSplit Gamecaster. You're all set to stream! Head into the game you'd like to livestream, open up the XSplit Gamecaster overlay by pressing Ctrl and Tab, and click Stream. For more information on using XSplit, read through the program's User Manual. Now that you're all set and ready to stream, it's time to jump on in and join Twitch. But before you go, remember to watch out for yourself online. Streaming is pretty intensive, and it requires a lot of energy to simultaneously play a game and entertain viewers. So before you start hosting marathon streams of Hearthstone on Twitch, make sure you're properly prepared to handle the work that comes with streaming. That means eating ahead of time and blocking out a few hours to stream. Don't forget to stay hydrated, either: Drink plenty of water before, during, and after the stream. Take breaks to get out of your seat and stretch your legs too. And most of all, know your limits. If your throat hurts, your feet are numb, or you're getting tired, listen to what your body is telling you. The last thing you want to do is go viral on r/LivestreamFail for falling asleep during your PUBG playthrough.